The support and input of brothers and sisters can be a huge encouragement as you care for your aging parents. But tricky sibling dynamics can also create hard feelings and resentment during this emotionally charged time. You may have graduated from the squabbles of your growing up years, but deeply ingrained patterns of behavior aren’t easy to change even when you’re all adults and you all want what’s best for your mom and dad. Differing points of view, varying availability, and even geographic location can all contribute to creating a perfect storm of tension. But it doesn’t have to be that way. Dealing with challenges like these proactively can help you and your siblings support one another during this time of change. Different opinions about care needs - The sibling who lives nearest to Mom and Dad may have different ideas about their needs than a sibling who lives far away and doesn’t see the extent of the changes in physical and mental capabilities. Imbalance of responsibility - The sibling who lives nearest may take on the majority of care by default. It’s easy to feel resentful when you are in this situation, especially if you feel that your siblings don’t understand or appreciate the sacrifices you have to make in order to provide care. Different points of view about care options - Perhaps your mom and dad always insisted that they didn’t want a stranger coming into their home to care for them, and one sibling insists on respecting those wishes. 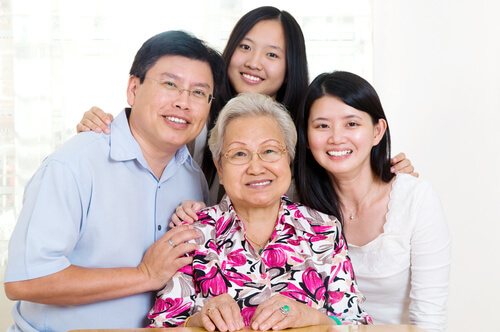 Your parents may expect family members to do all the care, regardless of the practicality of doing so. Another sibling, however, may recognize that home care is the best way for your parents to maintain their independence at home instead of moving into a skilled care facility. Money issues - People get prickly about money, especially if there are issues of an inheritance. 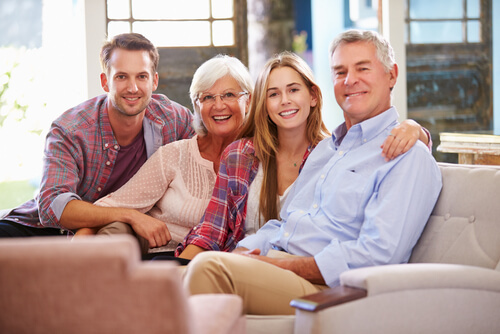 Siblings may think the cost of caregiving is taking too much of your mom and dad’s money or the sibling providing the majority of care may feel entitled to compensation or a larger inheritance. There may also be questions about how much money is available to pay for care, whether or not to sell the house, and who gets to make financial decisions if your parents are no longer able to do so. Childhood roles - Childhood roles and rivalries often carry over into adulthood, even if they are hidden below the surface. As you deal with the emotions of caring for your aging parents, it’s easy for those old roles to resurface and create unhealthy family dynamics. That’s especially true if you usually relied on your parents to soothe tensions or offer direction in family matters. Plan a meeting in a neutral location. If you need to have a difficult conversation with your siblings, consider meeting in a neutral location like a restaurant or coffee shop. Plan the meeting ahead of time so that your siblings aren’t blindsided by an emotional discussion they aren’t prepared for. Your mom and dad probably don’t need to be in the room, and getting away from your childhood home can help place everyone on equal footing. Recognize the need for common ground.As much as possible, try to work with your siblings as a team. Listen to everyone’s ideas and opinions, and try to avoid emotionally charged statements like “You always…” or “You never…” Acknowledge that you are all working toward the same goal and that the roles you had growing up don’t have to dictate your relationships now. Consider appointing roles according to each sibling’s ability to help.For example, if one person excels at financial management and another has a close relationship with mom, consider those strengths as you decide who can be responsible for various needs. Be careful, however, that you don’t label one sibling as “the caring one” and expect him or her to shoulder all of the caregiving responsibility. Remember that you are all working together, but individuals cope differently. People deal with emotions in different ways, and there is no one right way to cope with a parent’s aging. Don’t expect your siblings to respond the same way you do, and don’t assume they don’t care. Instead, accept them for who they are and focus on their strengths rather than their weaknesses. This will go a long way toward mitigating conflict. Discuss communication preferences.How often does each sibling want updates on Mom or Dad’s health? What is the best way to contact each person? Who will be responsible for making sure every sibling is notified if there is a change in care needs? Don’t just assume that everyone wants a weekly phone call, but don’t leave anyone out if they want to be kept in the loop. Consider professional help.There are many decisions to be made regarding your parents’ care, and in some cases you may benefit from professional advice or assistance. As you make decisions, consider talking to a elder law attorney, home care service, clergy, accountant, family counselor or other professional who can offer unbiased insight. Relieve the stress. Recognize that stress levels are high and think about planning something fun as a family to help you relieve those tensions. A night out, a weekend away, or an activity you all enjoy can go a long way toward helping everyone move in the same direction as you work together to give your parents the care they need. Do you have questions about the kinds of care available to help your mom or dad maintain their independence at home? Please give us a call!